Reliance Communications (RCom) has added 3.38 million new customers in February 2009 on both GSM and CDMA networks, increasing its total subscriber base to 69.38 million.However,this is below RCom’s subscriber addition of around 5 million recorded during the previous month. At present, RCom is the second largest operator by subscriber numbers, while Bharti Airtel retains the top slot with 91.11 million users. Vodafone with 65.92 million is in the third slot, followed by state-owned Bharat Sanchar Nigam (BSNL) with 44.18 million users. 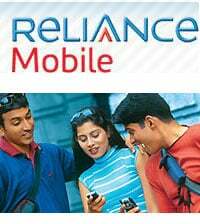 RCom, which was mainly CDMA-based service provider, had launched GSM services in January 2009 across 22 circles in the country. i was on airtel network in maharashtra sine it had rolled out of recent the network was the worst i dont think it could get worser despite repeated complaints for more than 6 months they were unable to resolve the problems. so of recent i have shifted to reliance cdma+gsm awesome network.will give it some breathing space and to settle down before i expect a world class service.